This is your chance to make a difference in a poor child's life. 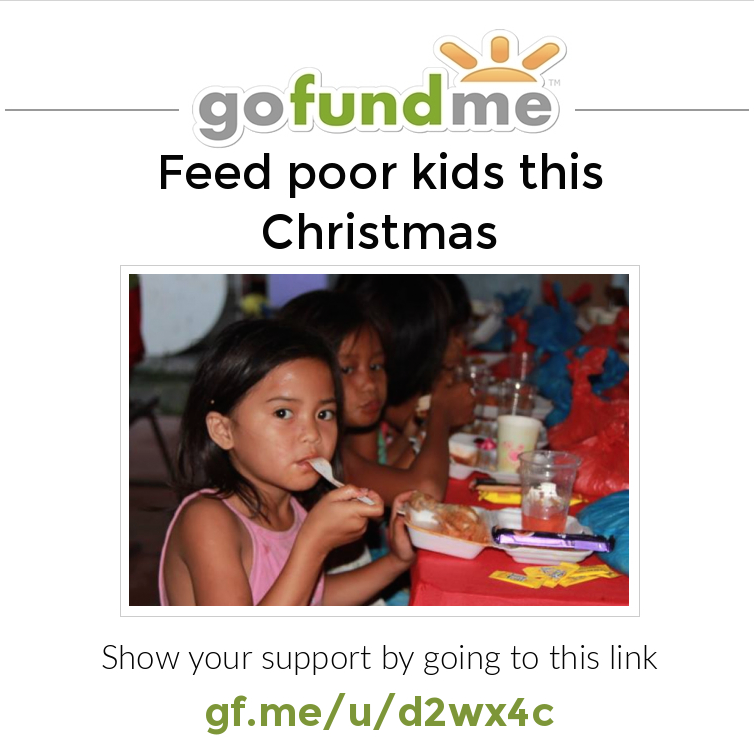 ​This Christmas provide a child a delicious lunch and a gift for $5. To donate, click on link below. ​ in prayers & Holy Masses. God bless & Merry Christmas!